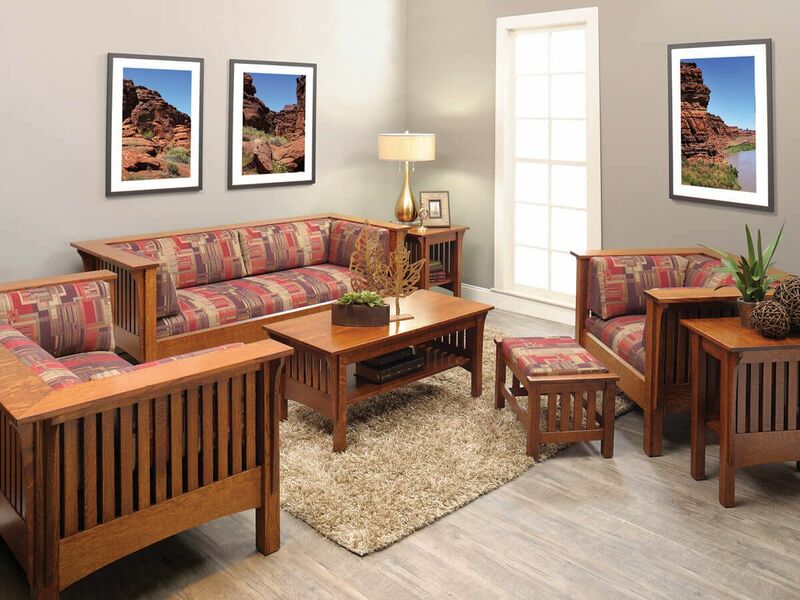 Choose our Sandy Creek Mission Chair for supreme comfort, solid wood support, and authentic Mission style in the wood type and stain you most enjoy. 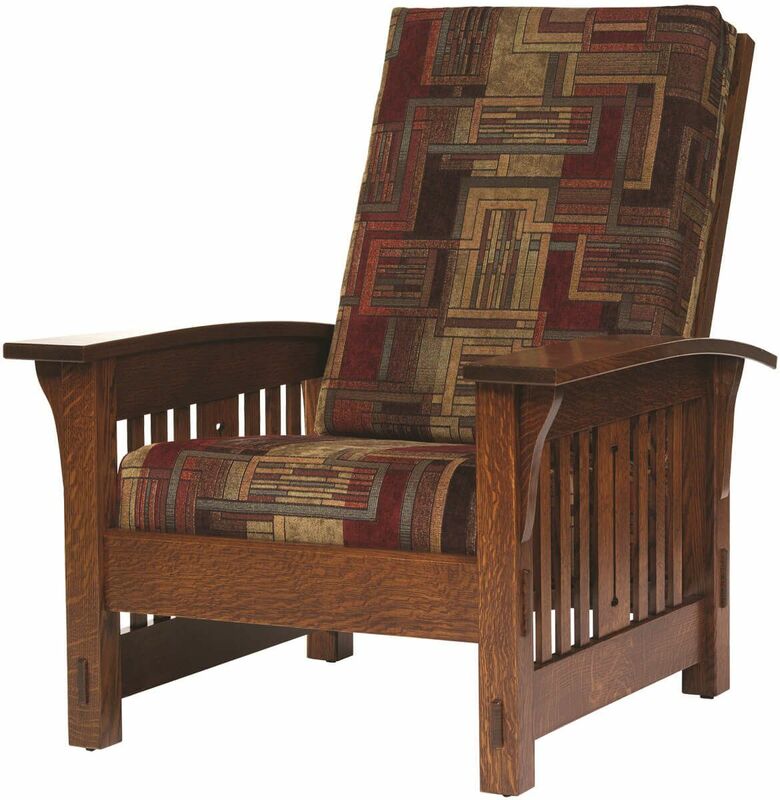 Featuring a much higher back than standard Mission chairs, the Sandy Creek has an overall height of 40 inches. Its reversible cushions are filled with high density foam, and the back of the chair is adjustable with three positions to provide you with maximum comfort. 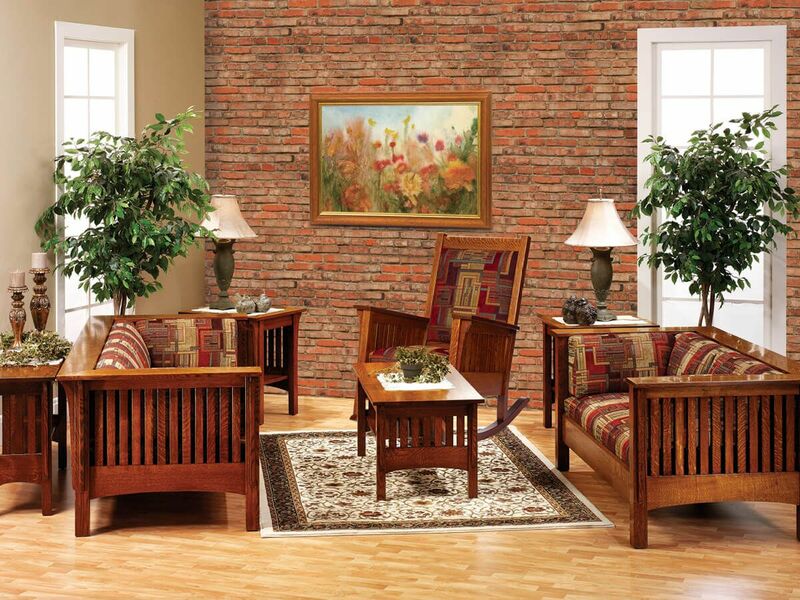 From a stylistic standpoint, our Sandy Creek Living Room Chair provides Mission accents in the form of vertical slats, exposed through tenons, and slightly curved armrests. 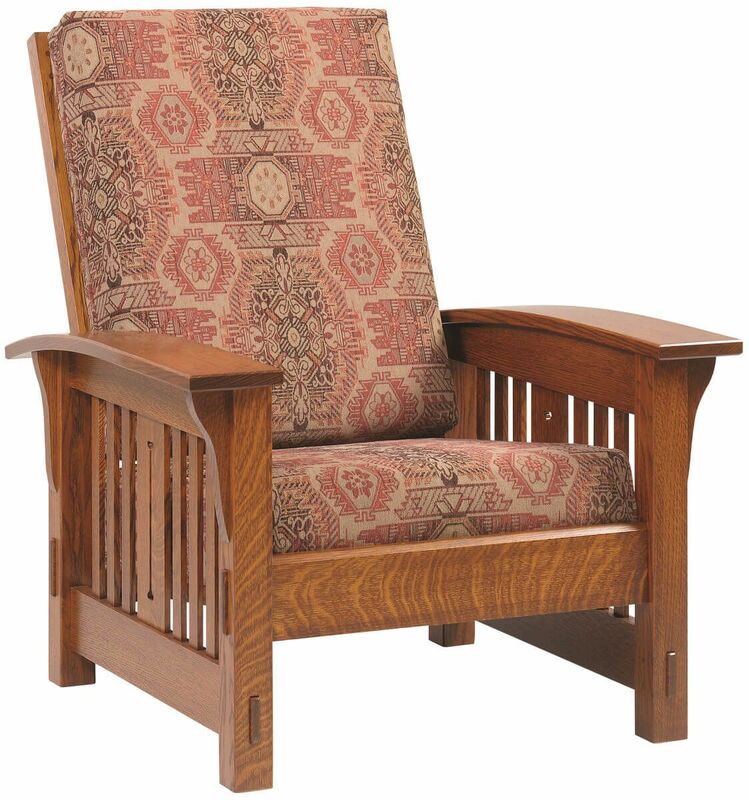 Because every piece of Countryside furniture is handcrafted by Amish craftsmen, your Sandy Creek Mission Chair is available in a wide variety of options. 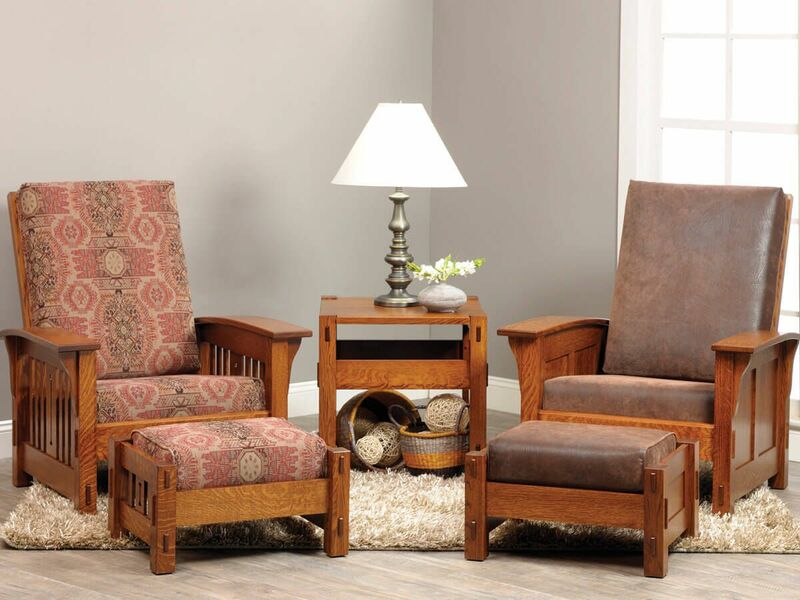 Make your hardwood, stain, and upholstery selections and your living room chair will be made to order in the design you dream up.